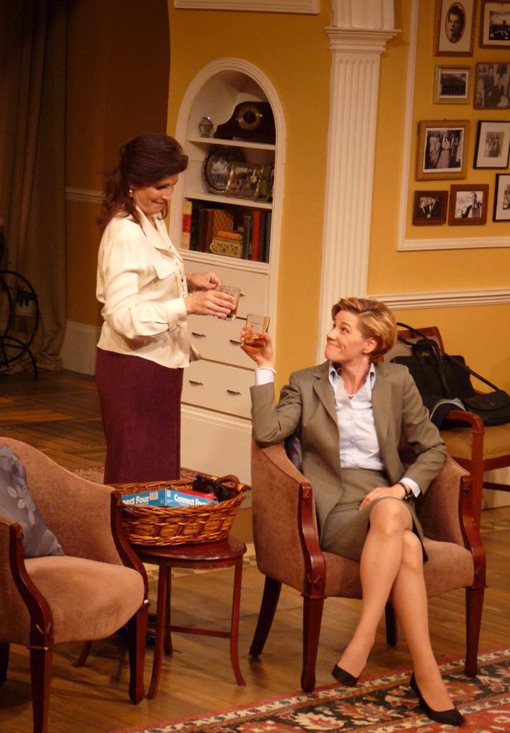 The City of Conversation, playing at Horizon Theatre through Sunday, June 26, is an epic story of the battle between gigantic life characters most of us know as political conviction, career ambition, love of family, shifting tides and the miracle of transcending opinions. 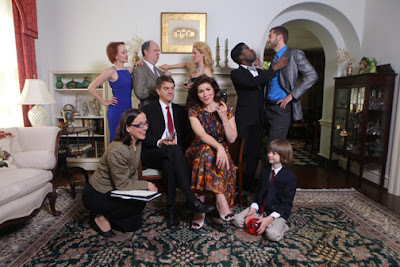 The City of Conversation takes place in affluent Georgetown in Washington, D.C., in the home of influential Hester Ferris (Tess Malis Kincaid), a widow who hosts dinner parties where policy and elections are won and lost. And she's a mother. The story stretches over 30 years and three generations. It starts at the end of the Carter Administration and concludes with the Inauguration of Barack Obama. If you're a politics aficionado, you're in for a treat. There are ample references to actual events and people on Capitol Hill throughout those 30 years—all of which I remember. If you're not into politics, you're still in for a brilliantly acted show. During during my nine years in Washington, D.C., I was in the record-breaking crowd on the National Mall the day of President Obama's Inauguration. It was a cold mid-January day, but there was a lot of excitement in the air! Anna Fitzgerald (Rachel Garner), Colin's fiance and later wife, is immediately recognized by Hester as ambitious, and that her ambition carries the force of 1,000 bulldozers that will knock down any and every roadblock in her way on the path to political influencer. Anna doesn't want to possess a political office. She wants considerably more. She wants to be the hand moving the puppet, the force that directs change in the favor of her political party, and she's willing to stop at nothing. Her political affiliation became openly apparent upon meeting George Mallonee (Allan Edwards), a Senator from Kentucky, who became her first Capitol Hill ally, while making her fiancee's mother her greatest nemesis. 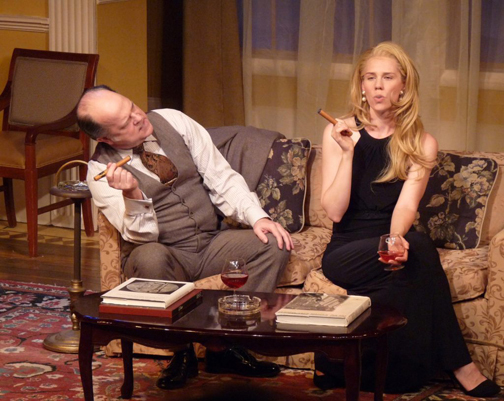 Carolyn Mallonee (Deborah Bowman) dutifully, if not without a degree of self amusement, encourages the Senator to take Anna under his wing. I'm guessing here, but that may have been the last time the Mallonee's were guests in Hester's home. Hester is strong, intelligent, eloquent and a force not to be reckoned with. Has she met her match when she meets her son's fiancee, soon-to-be-wife and wannabe power-house on Capitol Hill? Both possess unequivocal tenacity. It's an edge-of-your-seat war! Just remember that Hester is a force. She may not win every battle, but she's steadfast in her convictions and keeps her sights on long-term change, while the new kid on the block, Anna, is resolute to the point of being dangerous, but she's also susceptible of feeling deflated by defeat. When the third generation comes into the picture, young Ethan (Vinny Montague), hearts overflow with love and adoration...and hearts are broken. 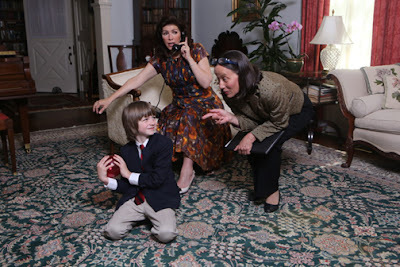 Ethan is playful, smart and knows what he likes, and evidently has lovely smelling hair—as boasted by his grandmother. Ethan's Aunt Jean (Carolyn Cook), made a widow in World War II, is the first person you see in this play and while she doesn't play the lonely widow, she's the silent backbone, the unassuming infrastructure that supports Hester's home activities and eventually becomes a fellow activist with Hester. While Ethan is loved by his parents—by his father at least—his grandmother and her companion Chandler (Chris Kayser) and his Aunt Jean, he becomes the bargaining chip, the ultimatum that not only would affect a political appointment, it would tear a family apart for years to come. None of it was Ethan's fault, but he was the one who paid the price...the price of growing up without a grandmother. In the final act, grownup Ethan returns to his grandmother's Georgetown home with his friend Donald (Joshua D. Mitchell), a history major, on their way to two Inaugural Balls. The reunion is a conversation of discovery. A family torn by commitment to political parties, the ending of this play doesn't come wrapped in a pretty bow. In fact, it had me in tears. Tess in particular pulled forth emotions I never knew I could have about any political conversation! But it wasn't that...it was the resolute love for her grandson and the hollow place in her heart where Ethan would have been the previous two decades had it not been for an ultimatum that she could not give in to. The final scene continues to bring forth tears, but those last few are tears of hope. As I wiped the tears from my eyes I recalled Colin's pleading to his mother, "You fight for things, you don't lose people!" 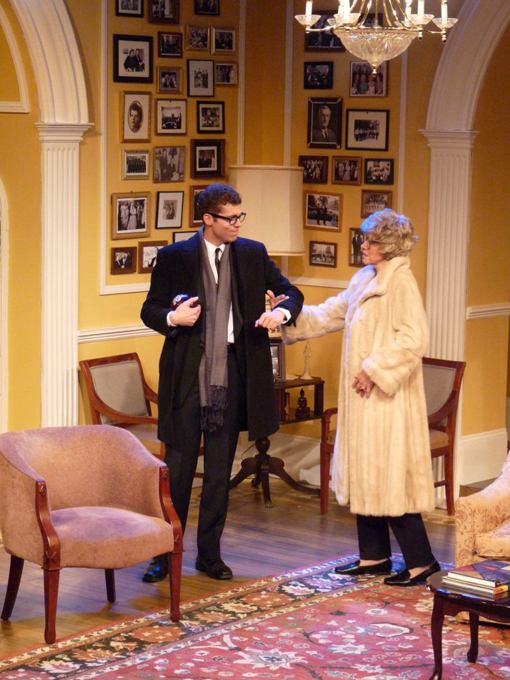 The City of Conversation is onstage at Horizon Theatre through Sunday, June 26. No matter your political affiliation, I believe that you're going to love this play!